Astrological background: New Moon is today at 8:13 AM Eastern Standard Time (EST). New Moon is a celestial time marker for planting new seeds aligned with the attributes of the house of the current New Moon. Today, the New Moon is in Aquarius, a house of truth-finding and wisdom seeking, not only individually, but also in the larger perspective of family, community, state and nation. (For an astrological report of this New Moon by astrologer Patricia Liles, click here.) Thus, this New Moon is a time that nature cooperates with new initiatives with Aquarian attributes. Summary: The heart wants to breakthrough the temporary calm that the 4 of Swords depicts, into a place of satisfaction with integrity, which the Queen of Cups depicts. Examining feelings of comfort which the 4 of Cups depicts can lead the way to the transformation. 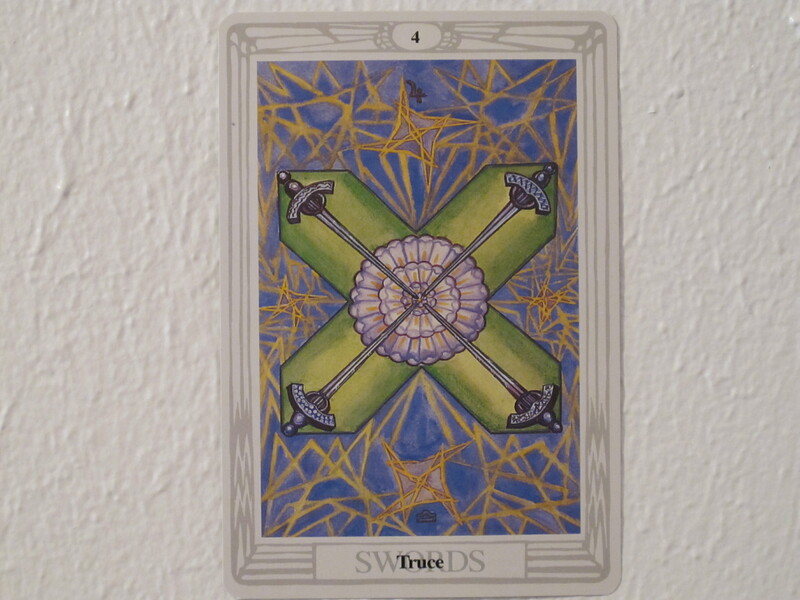 The 4 of Swords with the four swords aiming at each other shows a state of agreement produced by conformity out of fear of negative consequences. There is equilibrium there, mostly strategically maneuvered. However, the urge to expand beyond the limitations set by conformity is present, so the New Moon work begins. Where is there discomfort due to agreeing to buy into norms that ignore freedom of expression, within the law? 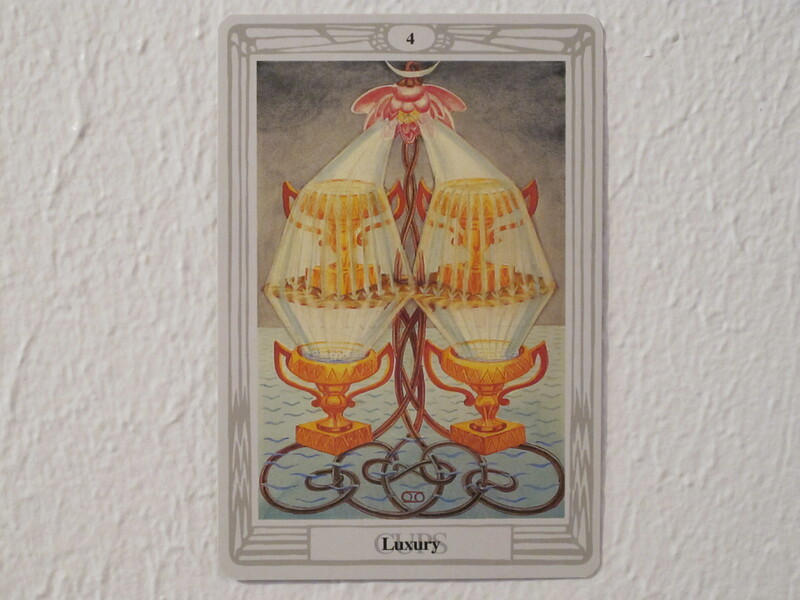 The 4 of Cups with the four heavy trophy-like cups squashing lotuses and sinking into the quivering ocean but for the support of the delicate lotus stems offers a guide to move deeper into the issue. Creating a state of nurture and comfort where happiness abounds is an important life lesson, however, this card shows desire for more and even MORE placation of even the slightest ennui, perhaps at the expense of the self and/or others. The sky looms dark overhead. What is being squashed and drowned, and what level of discomfort could be acceptable in liberating that? What recognition based on conformity could be put at lower priority? The Queen of Cups radiates even more nurturing and royalty than what the 4 of Cups could dream of, however, she holds protectively the material of the womb (crayfish in shell) and the imagination, and she tempers the work of the intellect (ibis) with emotional connection (lotus). The overall mirroring and reflections in the soothing water speak of seeing clearly the visage of compassion. 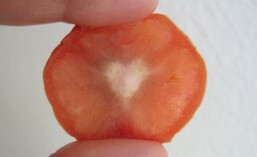 Compassion for that which was cut out in over-compromise can begin its liberation and re-integration. On an individual scale, the Queen of Cups shows the compassion and intuition with which one can find unbirthed parts of the self. 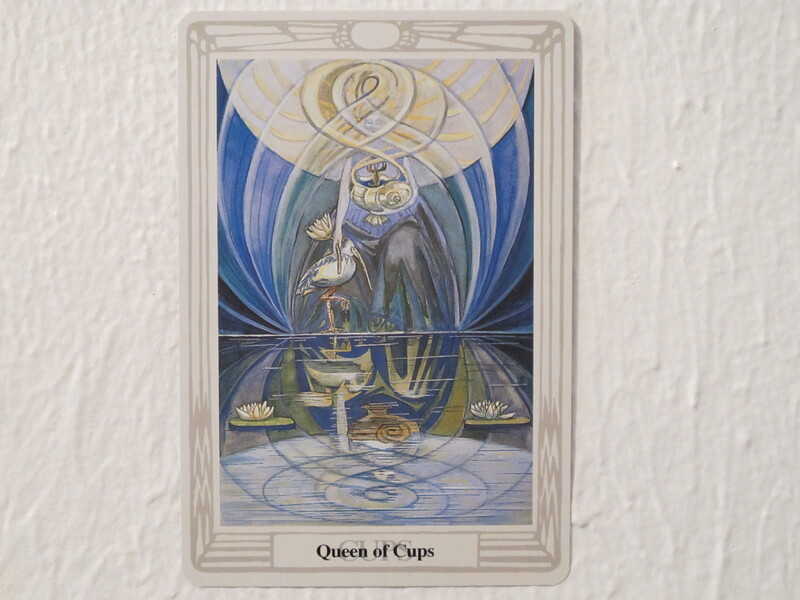 On the level of community and nation, in the context of this spread, the Queen of Cups shows the integrity of a pluralistic society actively creating itself from diverse resources, and looking with compassionate sovereignty on that which arises for integration.